Turkey escalopes are perennially popular but not many people take the time to make their own. 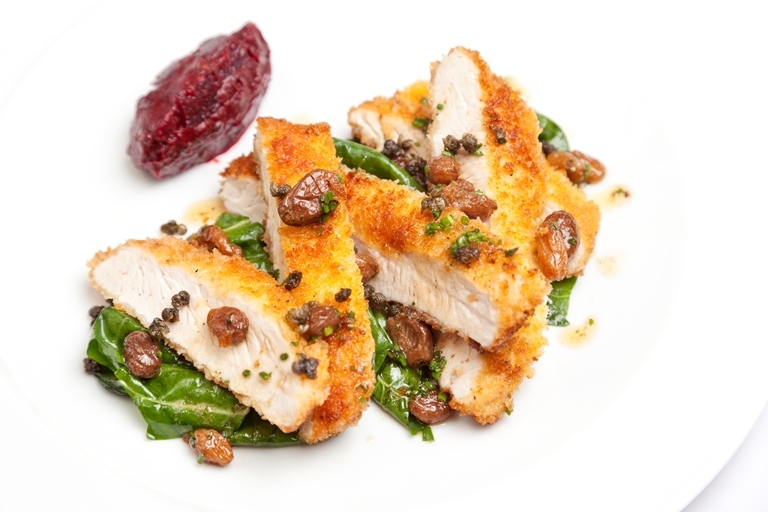 Dave Watts' inspiring turkey escalope recipe should change all that, the rustic beetroot, caper and sultana chutney accompaniment is reason enough to give this dish a try. Escalope refers to the specific cut of meat, though sometimes this cut is also referred to as turkey steak - so look out for both when buying.